Our region has a rich history. This gallery with a store, barn, and yard is set in the year 1915, 100 years before the opening of the new KidsQuest. The actual Bellevue Mercantile was a gathering place for the community. 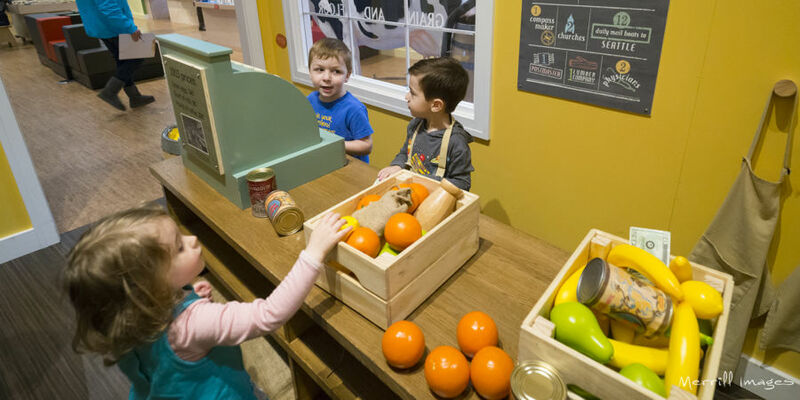 This mercantile provides the familiar setting of a store with added historical details that deepen the context for imaginative play. The adjoining barn and yard have animals to tend and products – eggs and milk – to bring to the store to sell. The cow wash is a sensory play extravaganza with air hoses, brushes, and the cowhide coat. Experience open-ended play at an old fashioned market in the Bellevue Mercantile. As a customer or clerk, there is much to do! Play with groceries and collect goods to sort, stock, buy, and sell in the store. 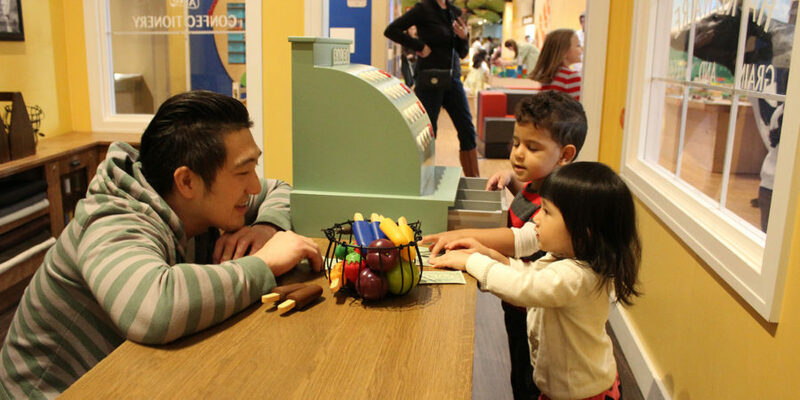 The Cash Register teaches kids the ins and outs of numbers and counting. How much for those apples, eggs, and hardware supplies? Kids can theorize about prices, fairness of value, and learn about the financial side of trading goods and services while interacting with store customers. The Chicken Coup bridges local historical culture, imaginative play, and math. 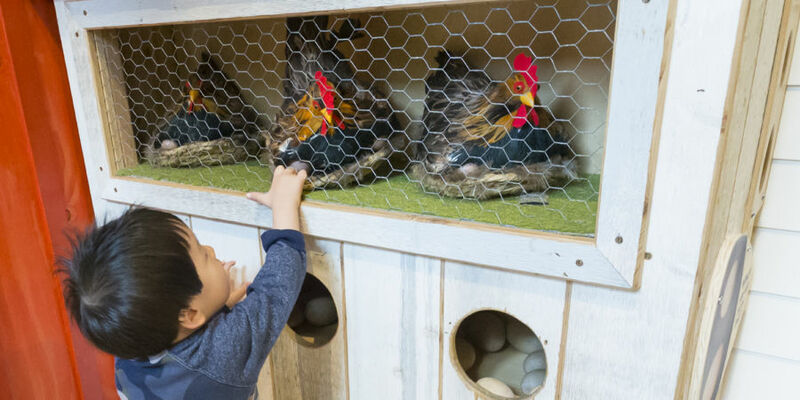 Visitors interact in and around the coop; play with stuffed chickens; and gather, sort, and count wooden eggs. 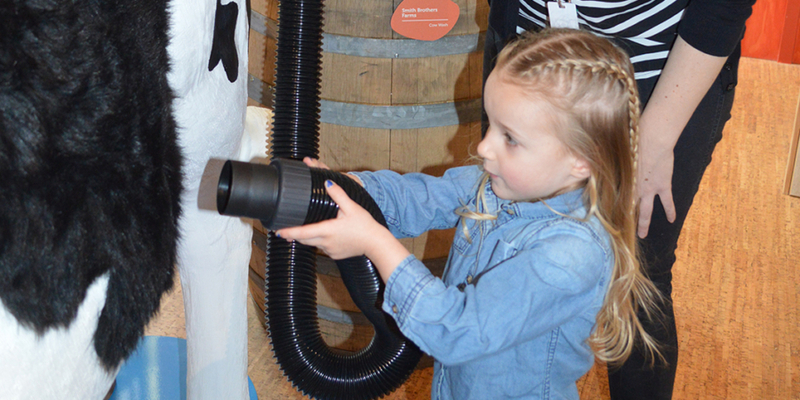 The Cow Wash is a sensory play extravaganza with air hoses, brushes, and a cowhide coat. Kids and adults can use their imaginations and experience a realistic feeling cow. 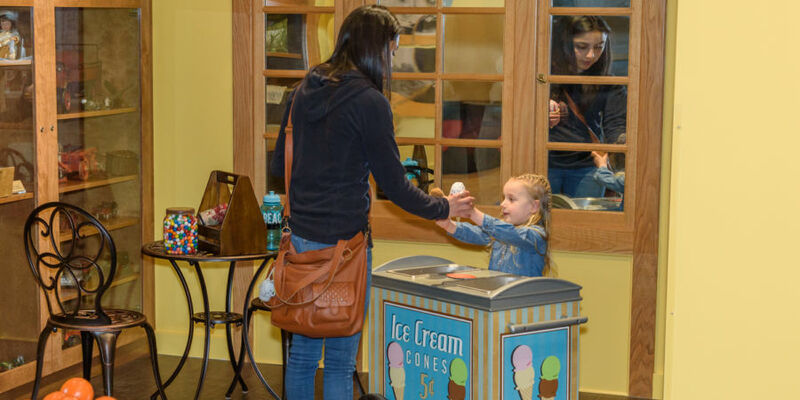 Pretend to own your own business at the Ice Cream Cart in the Bellevue Mercantile! Practice fine-motor skills by scooping ice cream cones for friends and family. Then work on math skills by taking payments and returning change. The Ice Cream Cart is fun, educational, and sweet. 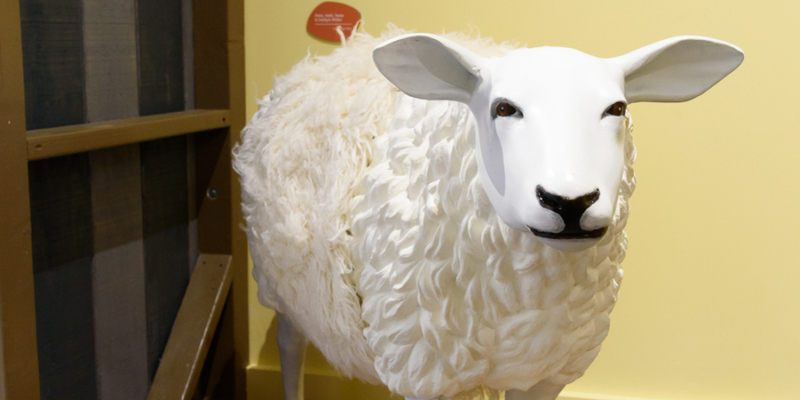 The sensory experience of the sheep exhibit shows the process of how textiles are made from wool. It’s also a place where real wool can be touched! 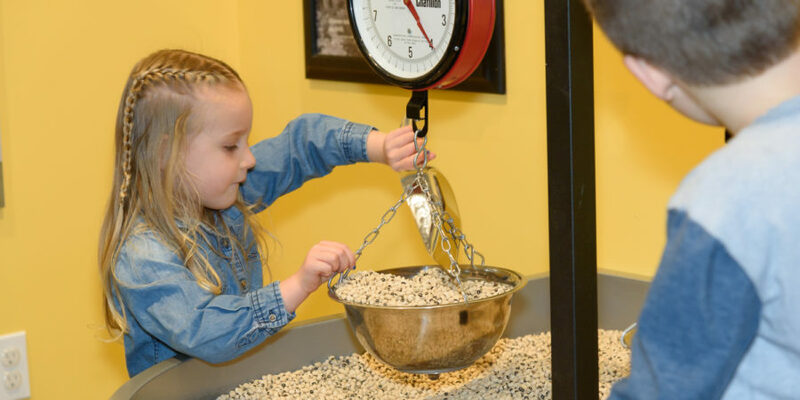 Weights and Measurements helps kids learn about the math involved in weighing and pricing. Use a scale to weigh lentils and store goods. How much tips the scales to one side or the other?